This week’s Site of the Week highlights a brand new site – Narrative.ly – launched in September of this year. As they describe in their About Us section, they are a “platform devoted to original, true and in-depth stories.” Each week has a theme and every day, a new article is posted relating to that theme. 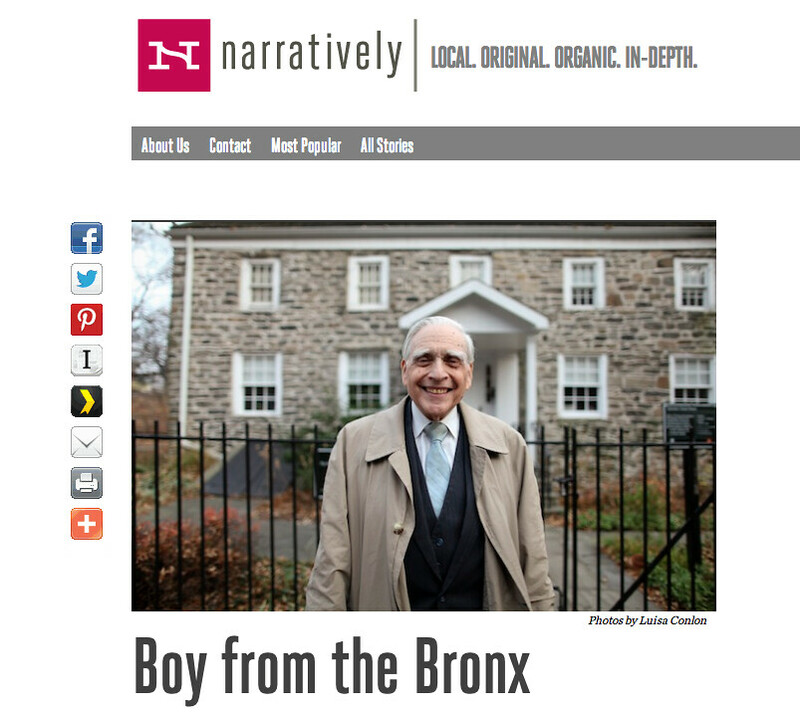 Currently, Narrative.ly is only in New York but plans to expand to other cities soon. In our modern 24-hour media world, with constant streams and up-to-the-minute (and not always accurate) breaking news, it has become hard to drown out the noise. Good stories about everyday people and appreciating the little things are fewer and far between. That is why we wanted to share Narrative.ly with you, because we believe these are the stories worth sharing. Narrative.ly uses an AddThis scrolling vertical bar with our large 32×32 icons. It fits nicely with their clean, simple design while also adding a bit of fun and encouraging the reader to share. We hope you check out their stories and share them too! We also hope you have a wonderful holiday season.